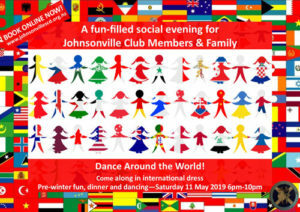 Club President Kristin Downey searched club archives to identify and track down many of Johnsonville’s past officebearers. Some 20 past and present office-bearers attended. The earliest office bearer who could be with us was Sally Tunley, Club Secretary in 1971 and the most recent was this year’s new Club Secretary John Munro.